My daughter’s latest work of art. 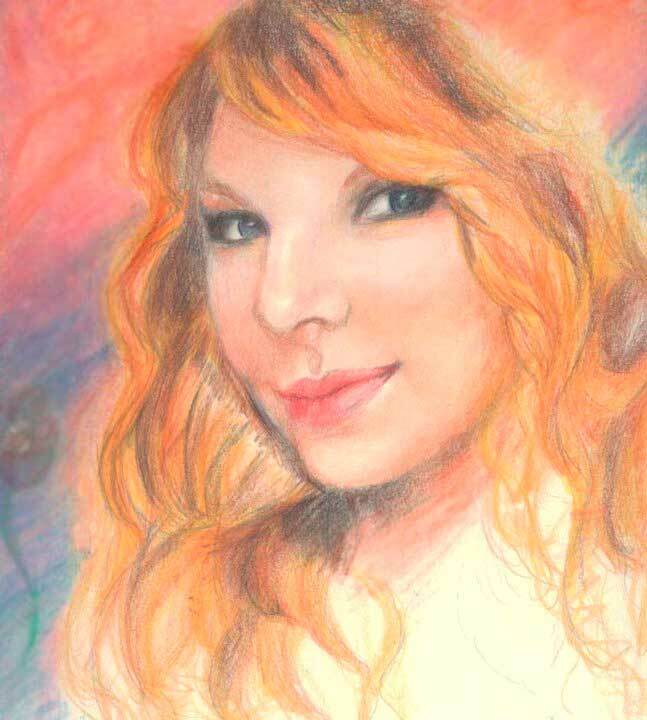 This entry was posted in Artwork, Blue Monday, Mellow Yellow Monday, Ruby Tuesday and tagged Blue Monday, Mellow Yellow Monday, Ruby Tuesday, Taylor Swift on February 6, 2011 by Yami. Your daughter is talented. Thanks for sharing your touch of blue. hope you could visit my entry pala sis sa MYM, thanks. oi very well done h, your daughter is so talented you must be so proud of her! Care to ex-links?Hope you could visit my page too =) good day! A wonderful, beautiful portrait clearly showing a depth of character! nice one, I am following your blog, visit and follow mine 2! tnx. Hope you can still take a peek at my Ruby Tuesday, thanks in advance!